Authors are now getting punished for too many sales on Amazon. All genres, including fan fiction, are being targeted by the publishing giant. It leaves self-publishers wondering, is this what they keep having to deal with or is it time to look elsewhere for self-publishing? There were rumblings earlier in the week and then the emails from Amazon started coming out. The Zon bots were on the rampage and no one seemed safe. Reviewers lost reviews and accounts. Authors got pinged for too many sales- Amazon accusing them of sabotage – and then the hammer fell on Kindle Worlds. Yesterday the notices went out to all the writers who wrote sanctioned fan fiction that gave the original creators some money as well as the fan fiction writers and Amazon. It’s been an interesting experiment and no one is quite sure why they’ve shut it down. Copyright of the stories remains in the authors hands but then the world and the characters are under the ownership of the originator. I foresee a scramble as writers try to figure out what the contract rights reversions will look like. The many niggles of a less than satisfactory experience with the worlds biggest eBook publisher have triggered many authors to review their marketing strategy going forward. Kindle Select authors (publish exclusively with Amazon with page reads also counting towards sales) are starting to pull out and go wide. That means establishing a presence on Kobo, Barnes and Noble, Publish Drive etc. Some are even thinking of going back to Traditional publishing. The author has more choices now. A great article from Eldonna Edwards puts it into perspective. Amy Collins was recently at a conference and watched some train wrecks in motion… Know your genre… know what is selling… research is the difference between an author and a writer. Joan Stewart talks about Author experts. 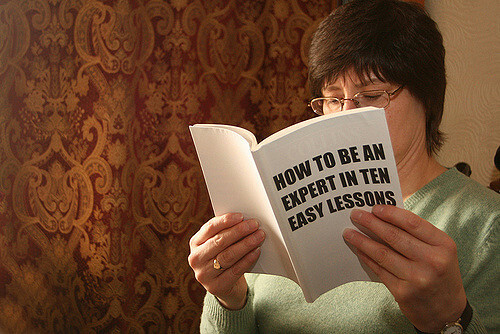 You might be an expert and not even know it. Check out her great article. Jane Friedman recently wrote an article on the modern website – A smarter author platform for the digital age. This is an info rich article on what works and why – from one of the experts in the field. Where do you get your ideas from…? I don’t know any author that hasn’t been asked this… Here is a possible answer tho – from old newspapers! Check out this article on a great treasure trove of ideas. Jami Gold has an interesting post this week that really struck a chord with me. How do you know your writing is any good? This is particularly interesting as I am getting into the sharp end of book judging and these questions have been haunting my sleep.